ARE YOU A FOREIGNER? 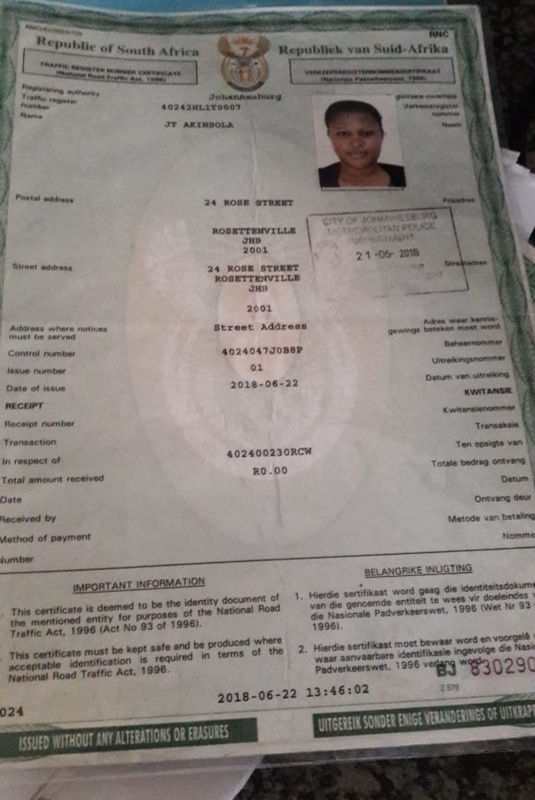 DO YOU NEED A SA DRIVERS LICENCE? WE MUST FIRST APPLY FOR A TRN AND THEREAFTER FOR THE LEARNERS AND THEN THE DRIVERS! In order to receive a (TRN), you need to have a valid passport. You can apply for a (TRN) at a driving licence testing centre (DLTC) and complete the form application and notice in respect of traffic register number (TRN). 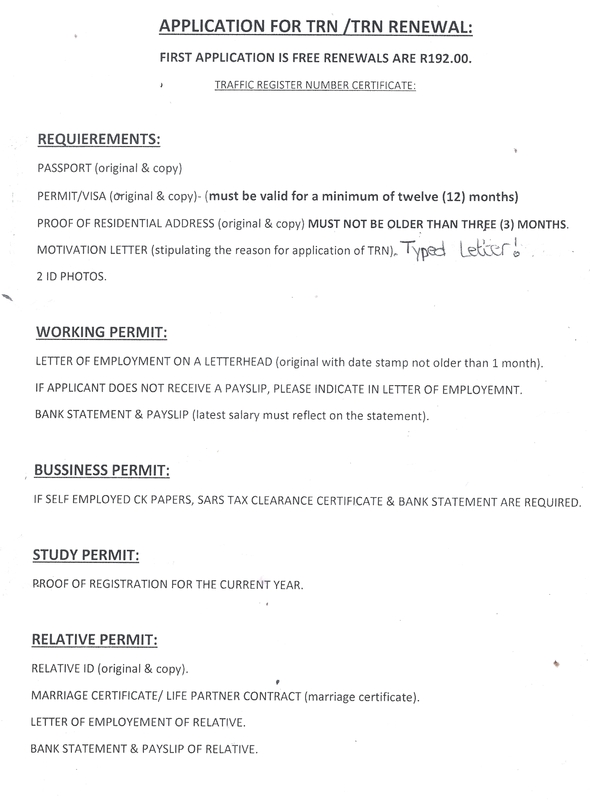 A typed motivational letter saying that you want to obtain your Learners and Drivers Licence in SA.